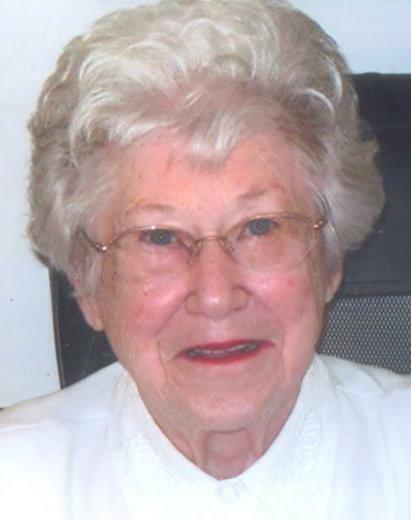 Catherine J. VanHaitsma, age 91 of Grand Haven, passed away Sunday, October 21, 2018 at a local care facility. She was born on June 8, 1927 to Rev. John and Anna (Wyma) Dyskstra in Crookston, MN and married Orman VanHaitsma on October 16, 1947 in Zeeland, MI. He passed away June 11, 2013. Catherine was a member of First Christian Reformed Church and was employed by Parda Federal Credit Union at Parke-Davis in Holland for 21 years. She was formerly employed by Zeeland State Bank and she was co-owner of the South Shore Motel of Grand Haven for 10 years. Catherine loved to play the piano, and did so for choir; quartets and solos. She loved to travel, and loved her family. Catherine will be lovingly remembered and missed by her daughter, Kathy (Bill) VanDyke of Spring Lake; son, Loren (Susan) VanHaitsma of North Port, FL; son-in-law, William VanWagner of Dallas, TX; five grandchildren, Lynn, Jason (Rachel), Kylee (Mark), Kendal (Tyler), and William; seven great-grandchildren; sister, Jeanette Overway of Holland; brothers, Arthur Dykstra of Three Rivers, MI and Chuck (June) Dykstra of Kalamazoo, MI; in-laws, Arlene Dykstra of Zeeland, MI, Geneva Kleinjans of Jenison, Roger (Jeanne) VanHaitsma of Jenison; and several nieces and nephews. She was preceded in death by her husband of 65 years, Orman; daughter, Karen VanWagner; sister, Annette Lamar; and brother, Martin Dykstra. The Funeral Service will be 11:00 a.m. Friday, October 26, 2018 at Klaassen Family Funeral Home with Pastor Richard Hamstra officiating. Visitation will be one hour prior to the service at the funeral home. Interment will be at Restlawn Cemetery. Memorial contributions may be given to Zeeland Christian School.